Bulgarian Prime Minister Boiko Borissov held talks with his Montenegrin counterpart Duško Marković and Serbian Prime Minister Ana Brnabić, the government information service said on November 15. 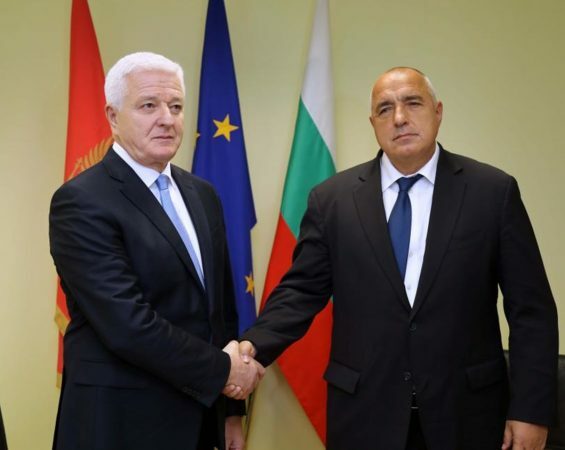 The statement said that during the talks, great appreciation was expressed for the fact that Bulgaria was continuing to work on the European prospects and connectivity of the Western Balkans, after Bulgaria’s Presidency of the Council of the EU in the first half of 2018. “The European project will not be completed without the Western Balkan countries, and their success on the road to the EU depends primarily on the political will of the leaders. Bulgaria will continue to support them in implementing EU-targeted reforms and projects,” Borissov said. Marković and Borissov in Sofia on November 15.